Advanta IRA is a self-directed IRA administrator with regional offices in Atlanta, Georgia and Tampa, Florida. 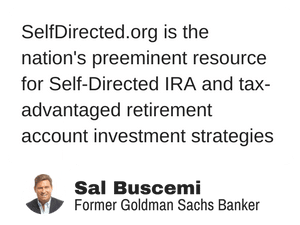 Advanta IRA provides services to self-directed IRA owners nationwide and claims to offer clients exceptional personal service, experience, and knowledge that is paramount in administrating self-directed IRAs. Advanta’s custodian is Mainstar Trust. Advanta IRA is a Self-Directed IRA Administrator that was established in 2004 and currently has 4,940 client accounts with a total of approximately $853,000,000 in client assets. Bryan Ellis recommends you ask for Mike Ventry. What are your questions about Advanta IRA?